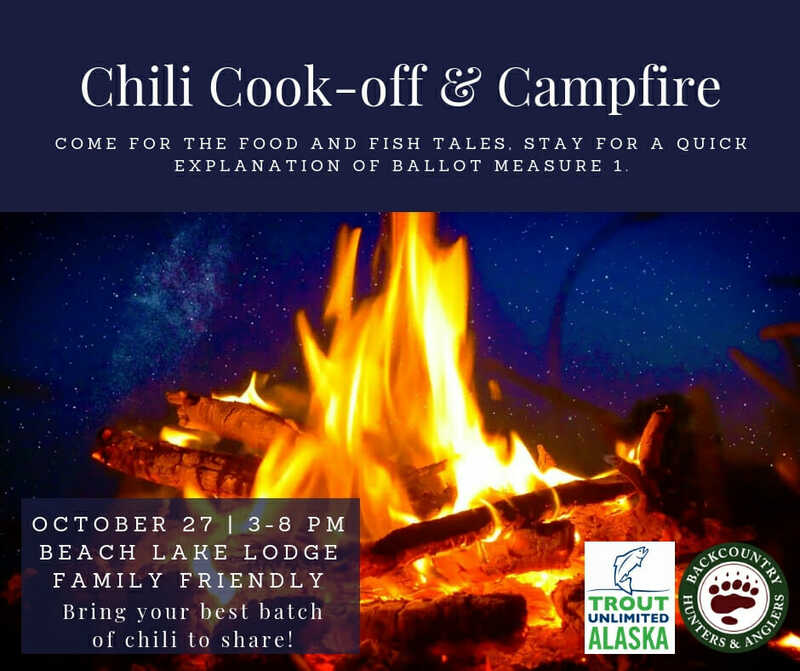 Alaska: Chili cook-off and campfire! 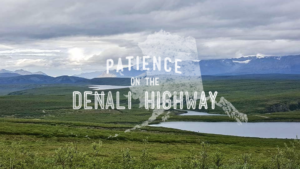 For several months when the sun is at its peak and salmon are making their upstream journey, Alaskans are fishing, harvesting, and exploring to the fullest extent possible. Summer is brief, and we hone our skills to seize every free moment. Now though, with changing colors and cooler temperatures of fall, life has slowed down. The darkness is making its return and with it comes the renewed urge to connect with friends and share stores from summer adventures. 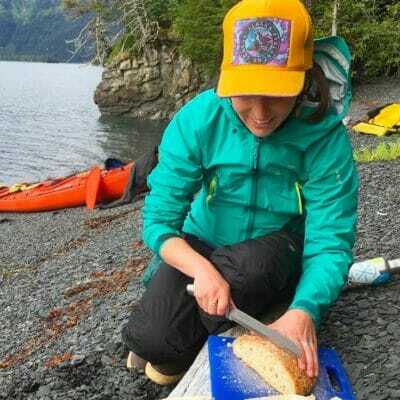 Homemade chili and chowder featuring the bounty of the land and sea as key ingredients, coupled with the campfire’s glow, are a recipe for comfort to many of us. 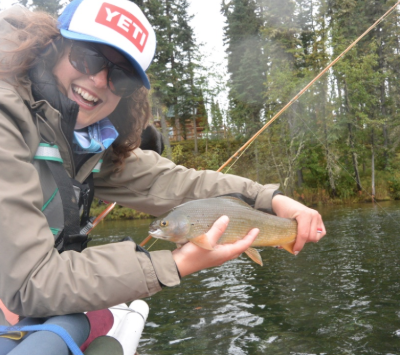 THIS Saturday, October 27th, Trout Unlimited Alaska and other outdoor groups are hosting Hunt Fish Eat Vote – a family friendly event, campfire conservation conversation and chili/chowder cook off. Clearly, one has to prepare ahead of time to enter a chili and chowder contest, with that in mind, here are the rules and what to expect. If you can, please bring a batch large enough to share – but you’re still welcome to come and eat, even if you’re chili-free! If you have chili, please check in when you arrive. Use of wild game and fish are encouraged! Chili sampling will run from approximately 4:00 pm – 5:15 pm. There is a stove and numerous outlets available in the lodge for heating your dish. Please label your pot and bring a ladle for serving. If you intend to use a crock pot please also bring an extension cord, we only have a couple. The winners for both the Chili and Chowder categories will be determined by popular vote so make yours stand out! Finally, what would a competition be without prizes? We have numerous goodies lined up for the winners of each category. Regardless of whether you can bring your best batch of chili or chowder, we hope you’ll join us for campfire, conversation and a quick update about why we’re supporting Ballot Measure 1. 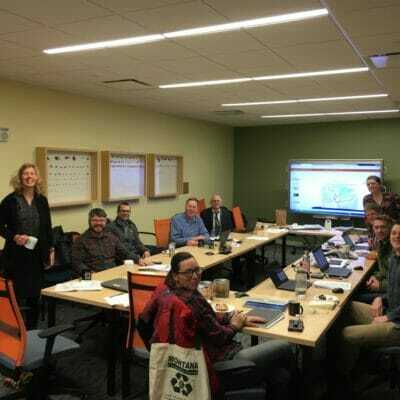 Alaska is at a crossroads for wild salmon and the decisions we make today will have an impact for generations to come. We hope you’ll stop by, warm up with soup and a fire, and listen to what we have to say about the future of Alaska’s wild salmon. Bring a friend – we’ll see you Saturday! Click here to RSVP and share the event info with your friends!